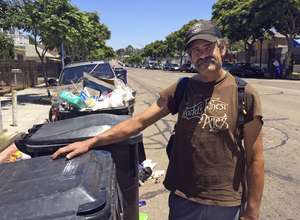 The San Diego homeless community has been rocked by several attacks. One of the most recent left the victim fighting for his life. 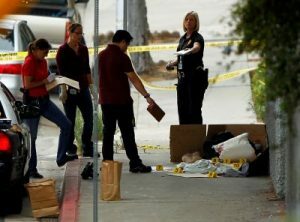 It marks the fourth violent attack upon a homeless San Diego resident. When a call was dispatched to the 900 block of State Street, arson investigators appeared on the scene where they discovered a man who had suffered severe burns to a large portion of his upper body. Witness reported that when the first located the man, he was covered by a burning towel, which they hurried to remove. Although the victim has been admitted to the hospital for treatment, no one is optimistic that he’ll survive the brutal attack. The fourth attack comes just a short while after the first three. The first victim was discovered when Los Angeles firefighters were working to subdue a fire that was burning near Interstate 5. The fire was quickly put out at which point the crew found what they would later learn was the body of Angelo De Nardo. An early morning visitor to a local park found the second victim who was at the 3700 block of Greenwood Street. He hadn’t been burned, but his body was covered with deep slashes and he was bleeding profusely. He was immediately moved the hospital where the staff started working on his injuries which have been labeled as life-threatening. 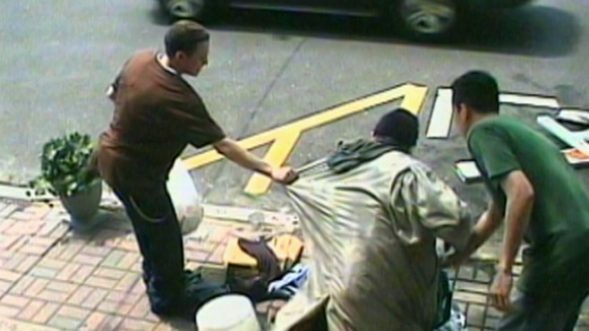 The police and arson investigators are relying on footage caught by nearby surveillance cameras and eye witness statements to learn as much as they can about the attacker who has targeted the local homeless population. So far all they know is that he is a thin, white man who is approximately in his mid-30’s and favors a dark hoodie and jeans. Based on the description, police are confident that it’s the same man that was involved in prior attacks on the homeless community. “We are absolutely convinced these cases are linked, and we will continue to work them as a series,” San Diego police Capt. David Nisleit said when questioned by reporters. He went on to explain that the department is utilizing all their efforts and working tirelessly round the clock to apprehend the individual responsible for the attacks and bring him to justice.